Back cover blurb: "I was fourteen when I fell in love with a goddess..." So begins the testimony of Noah Calaway, an ex-lawyer with a sideline in armchair criminal psychology. Now living an aimless life in an inherited cottage in the English countryside, Noah is haunted by the memory of the beguiling young woman who left him at the altar sixteen years earlier. Then one day he receives a troubling phone call. April, the woman he once loved, lies in a coma, the victim of an apparent overdose-and the lead suspect in a brutal murder. Deep in his bones, Noah believes that April is innocent. Then again, he also believed they would spend the rest of their lives together. While Noah searches for evidence that will clear April's name, a teenager named Ella begins to sift through the secrets of her own painful family history. The same age as April was when Noah first met her, Ella harbors a revelation that could be the key to solving the murder. As the two stories converge, there are shocking consequences when at last, the truth emerges. 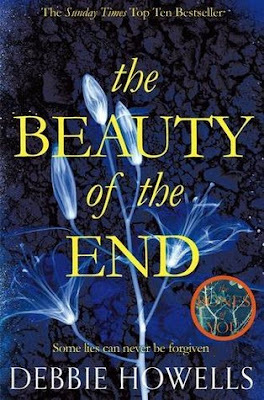 Or so everyone believes... Set in a borderland where the past casts its shadow on the present, with a time-shifting narrative that will mesmerize and surprise, The Beauty of the End is both a masterpiece of suspense and a powerful rumination on lost love. 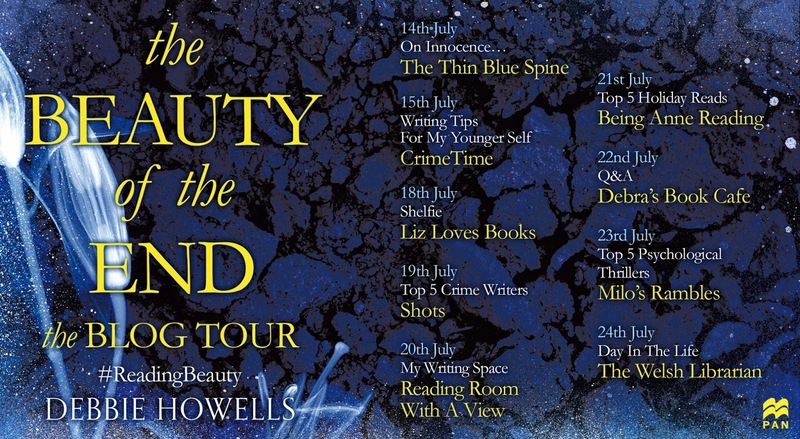 The Beauty of the End is another brilliant novel from the talented Debbie Howells. Noah Calaway is an author, who was previously a practicising lawyer. Now living a quiet life in the middle of nowhere he is shocked to get a call from a former friend, Will, who Noah no longer trusts. But Will is delivering important news, April, Noah's first (and possibly only) love is in hospital after a suspected overdose. April is being hunted by the police, who after the recent turn of events are now keeping a vigil by her bedside. She is suspected of murdering a man. Noah is convinced of her innocence and isn't really sure why Will is telling him of April's demise for they no longer speak. Noah hasn't seen or spoken to either April or Will for years. But Noah's instinct as a former lawyer and curiosity of the situation get the better of him, and so he returns to the town when he spent his angsty teenage years hopelessly in love with April who barely even noticed him back then. And so begins this mysterious and gripping tale.. Thank You to Maura Brickell who sent me an advanced proof of this novel in exchange for an honest review.